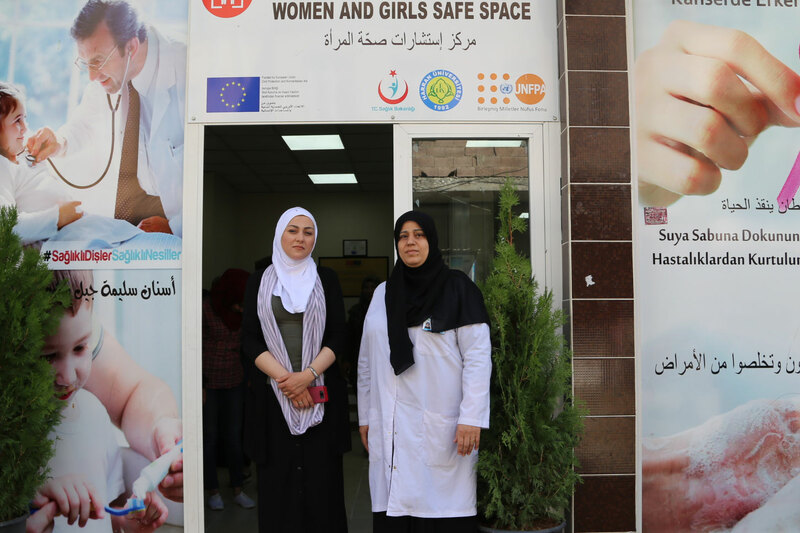 SANLIURFA, Turkey – “Even today, we saw a 17 year old who is pregnant and already has a child,” said midwife Neval, sitting in the Devtesti Centre, a women’s and girls’ safe space in Sanliurfa, Turkey. Some 475,000 Syrian refugees have sought safe haven in the desert city, about an hour’s drive from the Syrian border. Many are mired in poverty and struggling to rebuild their lives. Some have resorted to marrying off their underage daughters. These girls are at high risk of becoming pregnant early – even before their bodies are ready. “Sometimes we see girls who are 14 or 15 who are pregnant,” Neval said. Child marriage is both a harmful traditional practice and an economic coping mechanism for parents straining to care for their children. The practice is closely linked to teen pregnancy; in developing countries, nine out of 10 births to adolescent girls take place within a marriage or union. These pregnancies can be dangerous. Globally, complications of pregnancy and childbirth are the leading cause of death for girls aged 15 to 19. And it is often the most vulnerable girls – those who are poorly educated, deeply impoverished, without knowledge of their human rights – who are most at risk of child marriage. Their health is commonly neglected until they become pregnant, said Huda, a long-time midwife working at the Hayati Harrani Centre. 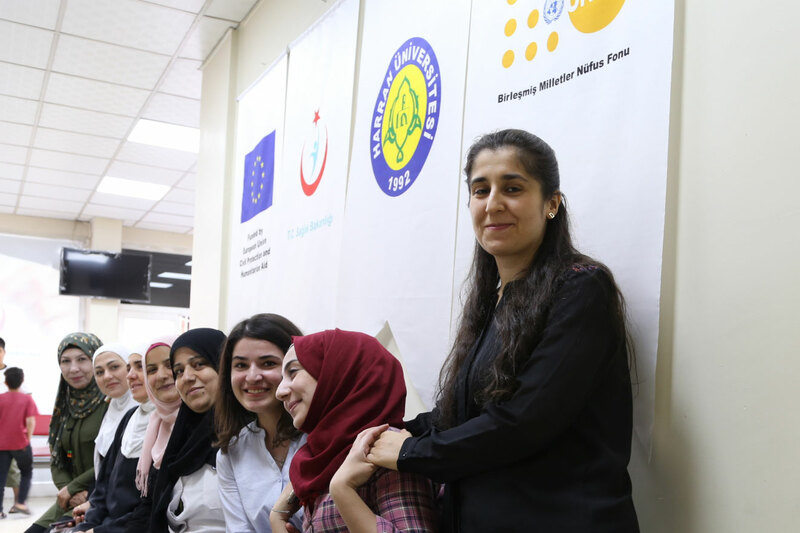 The centre is one of four UNFPA-operated women’s and girls’ safe spaces in Sanliurfa funded by European Union Civil Protection and Humanitarian Aid Operations (ECHO). Malnourishment – including anaemia – increases risks for both pregnant girls and their developing fetuses. 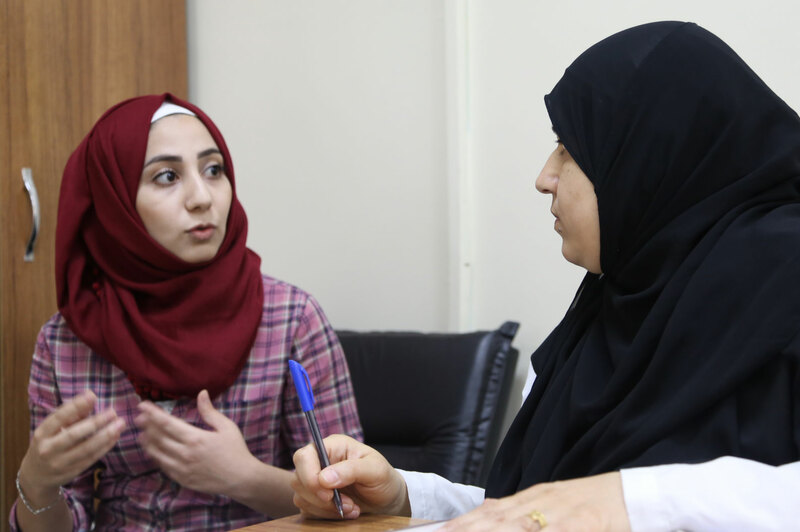 Studies show that child marriage is increasing among some Syrian refugee communities. It is hard to know just how pervasive the phenomenon is among refugees in Turkey, however. Many marriages are unregistered. And midwives say fear is driving child marriages – and the resulting pregnancies – underground. They, and other staff at the women’s and girls’ centres, are required to report marriages among girls under 16 to the Turkish authorities. But without proper maternal health care, pregnant girls face even greater risks. “Many don’t give birth in public health facilities. They may go to private hospitals, but I don’t know how they manage to pay for this. Some probably give birth at home,” said Huda. The four women’s and girls’ centres in Sanliurfa are part of UNFPA’s support to the Ministry of Health as it addresses the refugee crisis. The centres, run together with Harran University, provide more than sexual and reproductive health services to refugees. They also offer counselling, information on health and human rights, language classes and other services. Many of the staff members are themselves Syrian refugees. When staff do encounter child brides, they direct the girls to social workers. “Aside from seeing the midwife or doctor for check-ups, these girls are referred for social services, also provided at the centre,” Huda said. Health outreach workers, called health mediators, also frequently discover child brides when visiting refugee families. “UNFPA’s health mediators often learn about child brides and check on them,” said Fatima Al Hamad, a health mediator at Hayati Harrani. They inform the girls about their rights – including the right to marry a person of their choice, with full consent and without coercion or fear – and encourage them to visit the women’s and girls’ centres for services and information. Pregnant teens are also urged to seek proper maternal care. But health workers say they worry about all the girls they simply cannot reach.